Shirts With Random Triangles: Kevin Wilson resigns as Indiana head coach, replaced by Tom Allen. 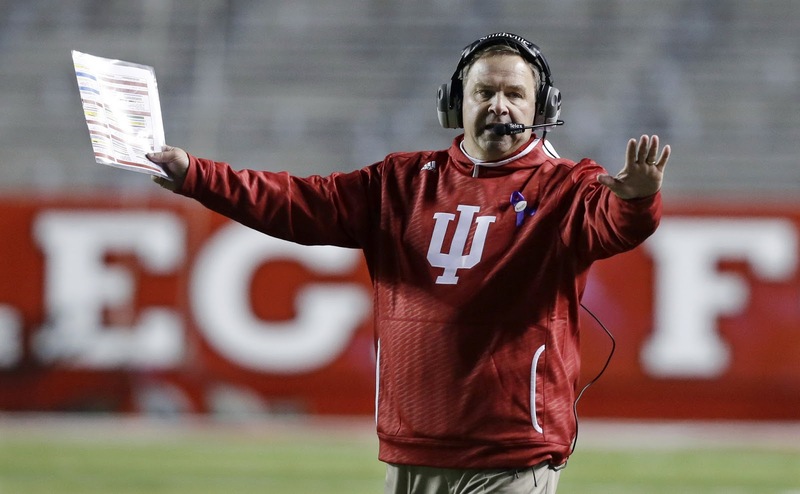 Kevin Wilson resigns as Indiana head coach, replaced by Tom Allen. Yesterday, reports circulated that Indiana was firing head coach Kevin Wilson amid allegations of mistreatment of players, including one recovering from a concussion. It's a different story today, as ESPN reports that instead of being fired, Wilson is resigning over what is vaguely described as "philosophical differences." Indiana athletic director Fred Glass says the reports were not in a factor in Wilson's resignation. Indiana has moved quickly to name defensive coordinator Tom Allen as its new head coach. The school has reportedly given Allen a six-year contract. Wilson led Indiana to a 6-6 record in the 2016 college football season.